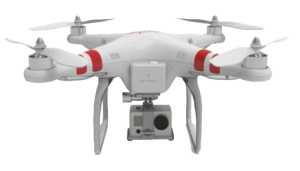 After a few long discussion with my father in law about the many uses of my DJI Phantom Quadcopter. He approached me on a mission to fly over his farm property to see if anyone was encroaching on his property. 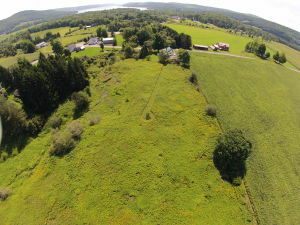 I fired up the Drone with my new set of Fat Shark goggles and flew over the large property. The goggles are set up to connect directly with my Gopro Hero 3 cam, on a 1 second timer so I can see whatever it sees. I took a few passes and gathered all the aerial photography over the land and brought her in for a landing. After reviewing the photos, we discovered that a few of the lawns had grown onto the property and one had even built a long runway down into his yard. As this point in time, no legal actions have been made, however the spy in the sky has proven itself yet again.